In order to provide extra freight capacity, the Isle of Man Steam Packet Company has had to make further changes to its sailing schedules tomorrow (Friday 21st December). Latest dredging surveys in Heysham show increased silting in some areas, perhaps exacerbated by recent adverse weather. 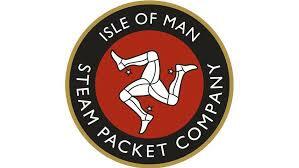 During 2018 the Isle of Man Seam Packet Company has supported a wide array of community projects and initiatives. The International Peace Light is to return to Manx shores this festive season with support from the Isle of Man Steam Packet Company. Hundreds of bearded Father Christmas’s will take to the island’s roads next week in the Isle of Man’s very first ‘Santa’s on a Bike’.